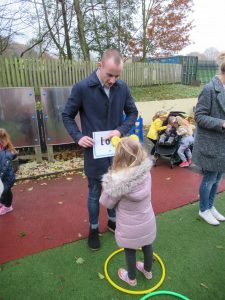 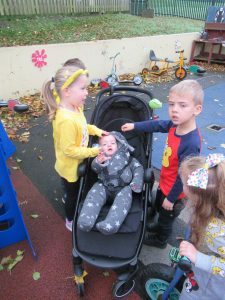 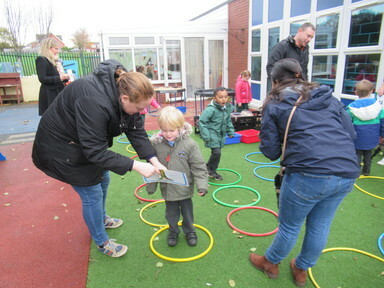 This has been a very busy and exciting week for our Reception children and their grown-ups because we have opened the classroom door and invited our parents (and uncles and baby brothers!) into school to join us for the first hour of the day. 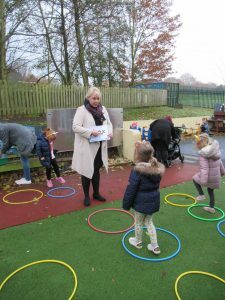 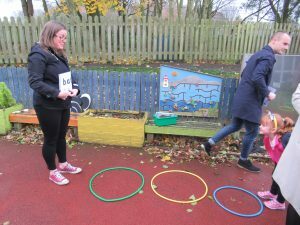 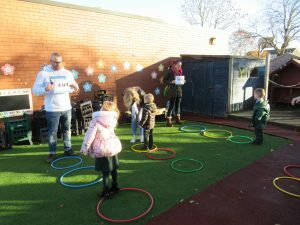 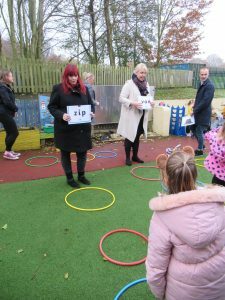 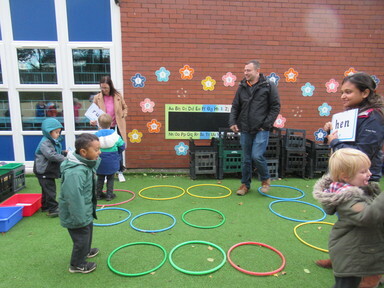 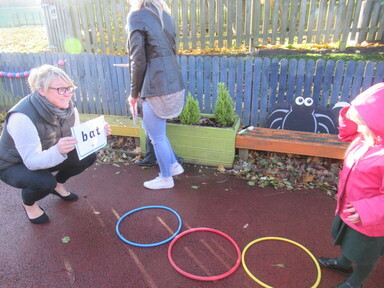 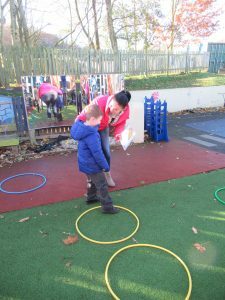 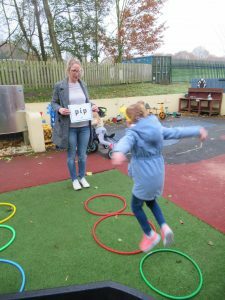 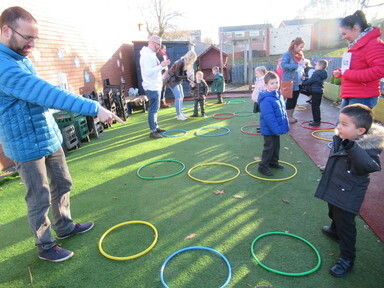 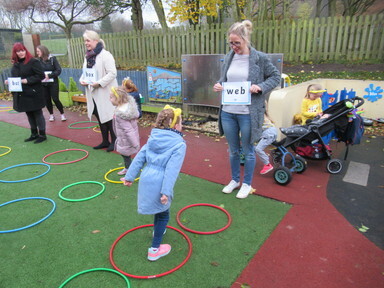 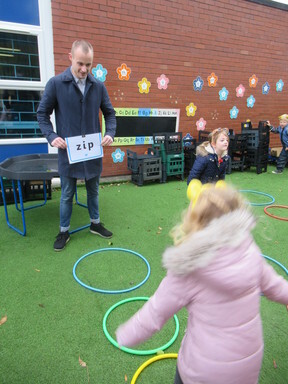 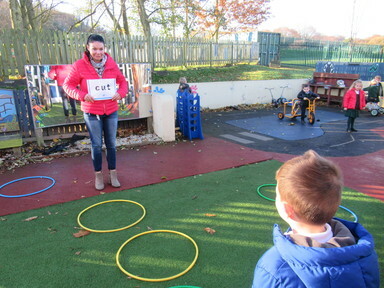 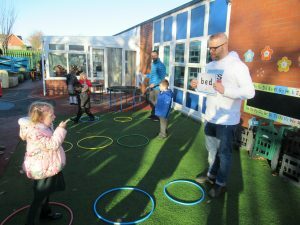 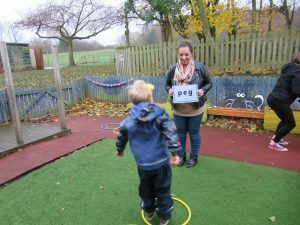 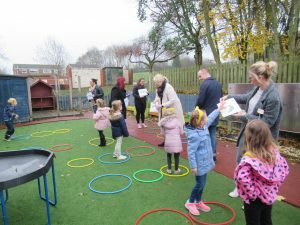 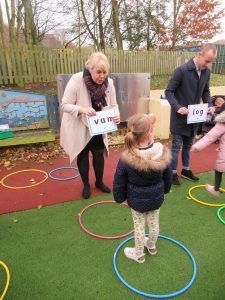 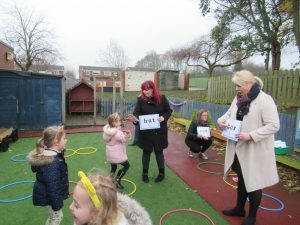 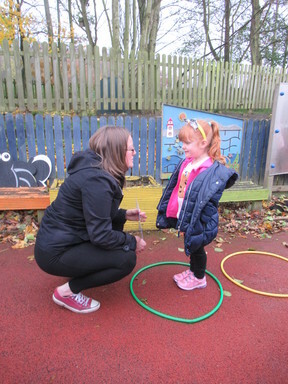 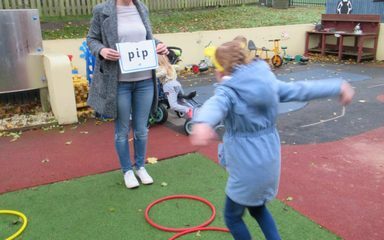 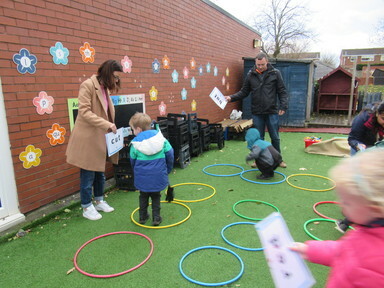 Our visitors have seen the register, the calendar, the weather chart, the lunch menu and a phonics session in action and then joined us outside for a fun phonics game. 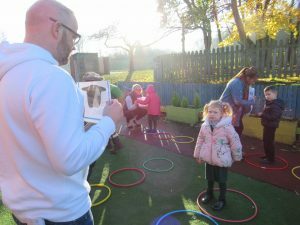 We hope that everyone who came found the workshops useful and interesting and enjoyed a little window into our Reception day. 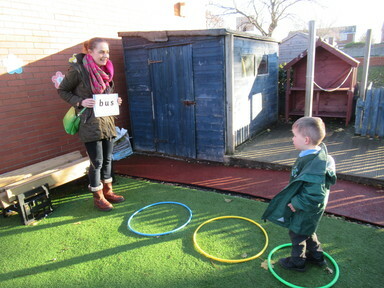 Hopefully, no-one who comes home and says that they have done ‘nothing’ at school will be believed from now on! 🙂 As always, if you have any further questions about how teaching and learning of phonics or any other part of your child’s experience at Clover Hill, please do not hesitate to come and speak to one of the team.